A study by the UK Health Protection Agency reported that 20 per cent of Legionnaires' disease cases may be caused by infected windscreen washer systems filled with pure water rather than appropriate washer fluid. Here, Dr Simona Vasilescu, of the Water Treatment Innovation Platform at NCH Europe, believes that, while Joe Bloggs driving his van may not know much about Legionnaires, plant managers have no excuse. Professional drivers won't be able to file a lawsuit if they maintain their own vehicles, but industrial businesses are liable for the safety of their employees. Plant managers may even believe they are putting all the relevant measures into place to prevent Legionnaires outbreaks, but often there is one common gap in their knowledge — biofilms. You would be forgiven for imagining Legionella bacteria floating freely in the water, but it isn't always this simple. They can be far more sophisticated in protecting themselves, by hiding in a robust and stubborn layer of biofilm. A biofilm is a community of bacteria that has joined together and adhered to the inside surfaces of pipe work or cooling towers. This community releases self-produced slime that protects it from biocide treatments. Legionella bacteria, which can cause Pontiac fever or Legionnaire's disease, a potentially deadly form of pneumonia, are commonly found in these communities. The self-produced slime is often referred to as the matrix of the biofilm. The matrix is incredibly stubborn and complex, making it very resistant to treatment attempts. Together, the bacteria and slime matrix are generally referred to as a biofilm. The World Health Organisation is clear on the complexity of biofilm: "Most engineered aquatic systems — especially those that are complex — have areas containing biofilms, even when the system is well maintained. When control measures, such as the disinfection regime, are relaxed, microorganisms will quickly multiply to detectable levels." Guidance issued by the UK government's Health and Safety Executive (HSE) recommends that microbiological testing for Legionella bacteria is carried out at least quarterly in evaporative cooling systems. This ensures systems are kept under control. Who else joins the party? Amoebas (single-celled organisms) also find their way into the biofilm, ingesting Legionella bacteria in the process. The biofilm environment contains lots of different bacteria species, meaning the Legionella population growth within biofilm is limited by the competition with other bacteria. However, inside amoebas, the Legionella can live their best and easiest life, thriving in very high numbers. The amoebas are very mobile. As they only attach temporarily to biofilms, they move from place to place with Legionella onboard. This therefore adds greatly to the Legionella problem. What is more alarming is that these amoebas create an environment for the Legionella that is very similar to that of our lung cells. If Legionella bacteria thrive so successfully in amoeba, they will be equally successful at thriving in lung cells within our respiratory system. This is exactly what happens when someone contracts Legionnaires disease. When businesses continue to apply products such as biocides, they are not always getting to the root of the problem. As most biocides can only penetrate a few micrometers into the biofilm, they are only targeting free-floating bacteria in the water, not what is occurring inside the biofilm. Dip slide tests can give a false impression that systems are under control. Often, water sample testing results will come back as negative for Legionella, but this may be a false negative. The test only reflects the bulk water without any consideration for what is hiding away in the biofilms, which are a ticking time bomb waiting to disperse. NCH Europe's Water Treatment Innovation Platform has launched bioeXile, a patented treatment that breaks down the complex biofilm mechanism, exposing the bacteria hiding in them. This makes Legionella bacteria much more susceptible to biocide treatment. When used in conjunction with biocides, bioeXile is 1000 times more effective in targeting biofilms and the associated pathogens they house, than biocides alone. While professional drivers can be forgiven for their past windscreen washer mistakes, plant managers won't receive the same empathy. The capabilities of treating biofilm are now higher than ever before, meaning there is no excuse. There’s a lot of chemistry, physics and maths involved in perfecting your water treatment solution. Brian Booth, VP of the Water Treatment Innovation Platform, NCH Europe, reports. Since the start of 2016, commercial and residential buildings have consumed over 6.4 million litres of water worldwide. Nick Cowley, integration director and country manager of composite technology specialist MCL Group Industries, explores the benefits that Total Expenditure (Totex) approaches can create for water companies and their customers. VALVEFORCE, a leading UK independent steam and control processes expert provides turnkey solutions including specifying and design, supply and installation, service and maintenance. 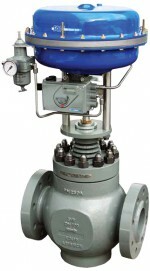 As a control valves specialist Valveforce says it provides outstanding technical knowledge and support to a wide range of business sectors including but not limited to the heating, cooling and ventilation industries. Valveforce also holds an extensive stock of valves for immediate dispatch and sensible delivery times for very large valves. Efficient water and wastewater treatment is essential from both a legislative and operational perspective. Nick Simpson, sales and marketing director from SUEZ environnement Industrial Water UK looks at the technologies and solutions available to ensure your water flows more sustainably. Ziko Abram, director and co-founder of KiWi Power discusses how demand response is helping UK water treatment works and supply pumping stations reduce energy consumption, avoid peak tariffs, lower energy bills and reduce CO2 emissions.